Josco Brumby 100mm Cup Brush (BTC1003) has a 14x2mm fixed thread. 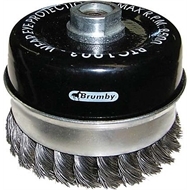 This brush is suitable for general purpose applications such as weld, rust, paint and contaminant removal. 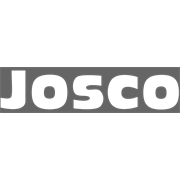 For use on steel, aluminium, cast iron and most other metals. Fits all 180mm and 225mm Angle Grinders.